Contemporary Performance Community. Contemporary Cultural Laboratory. 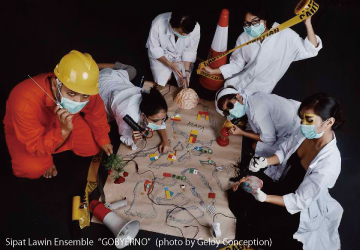 Sipat Lawin Ensemble (SLE) is an edge-work contemporary independent performance company in Manila composed of theater makers formally trained in the vocabulary of Drama/ Theater. 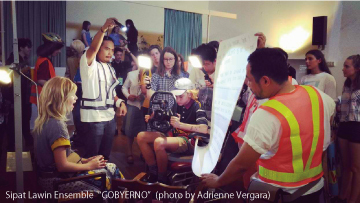 Sustaining an alternative art practice and laboratory in Manila, the Ensemble devises relevant new works and develops contemporary performance communities through workshops, residencies, and exchanges. 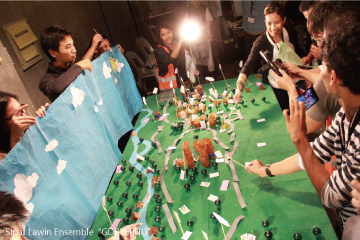 Changing the landscape of theater and performance in the Philippines, the collective aims to continuously develop contemporary performance community experiences shared among artists and audiences; creating new forms of inter-action, social engagement, and modes of production.